Desert Mountain is blessed to have 15 miles of private hiking trails into the Continental Mountains, next to Tonto National Forest. Members can enjoy the Sonoran Desert without ever leaving the club gates. There are seven different trail segments for hiking or mountain biking within the club’s private wilderness area. The trails include: Tonto Ridge, China Wall, Sunset Summit, Brangus Way, Grapevine Wash, Hohokam Camp and Apache Skyline. The club also organizes special group events for members to enjoy, such as moonlight hikes, Friday twilight happy hours or weekend morning cowboy coffee at the trail head. It is a great way to meet other members and socialize with your friends. Desert Mountain is the only club in Scottsdale with such an extensive private trail system into the mountains. It is an awe-inspiring outdoor recreation experience to be enjoyed by all members of the family. Tonto Ridge is for the adventurous member seeking a challenge. The overlook has spectacular 360 degree views of multiple mountain ridges, towering cactus and flowering desert flora. There is a 100 mile view into the 3 million acre Tonto National Forest. 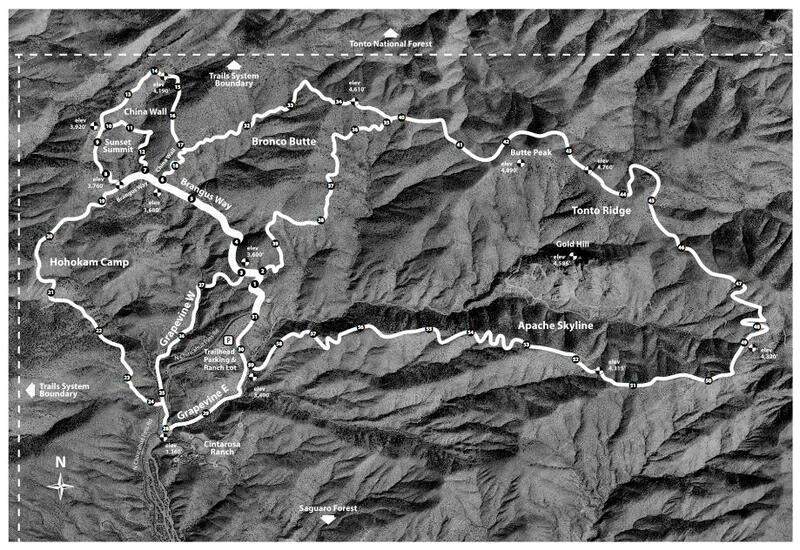 The China Wall trail is a steep climb with 17 switchbacks and 800 vertical feet. It is a natural geological formation that resembles a man made wall. Most people on this trail will be hiking, not biking, because of the steepness of the trail. The steep climb is, however, well worth it. On clear days, hikers can see all the way to the Santa Catalina Mountains, just north of Tucson. 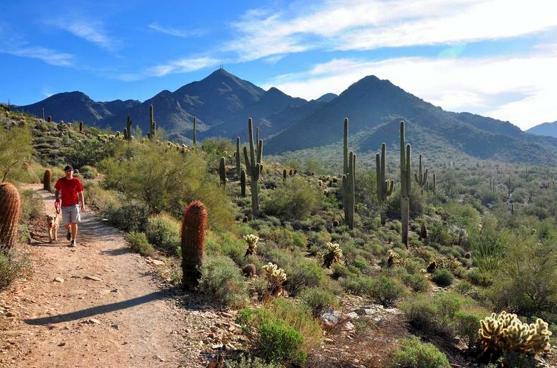 It is no surprise that the Desert Mountain trail system won the “Best New Trail in the United States” by the American Trails Association in 2012. 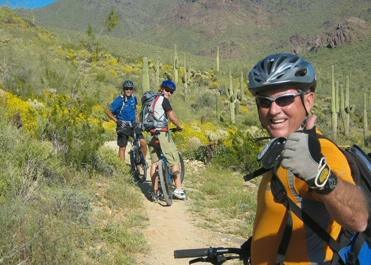 The trail system is one of the most special things about Desert Mountain. It is a beloved amenity that is enjoyed by many. The trail system perfectly complements the active, outdoor lifestyle that the club is known for.